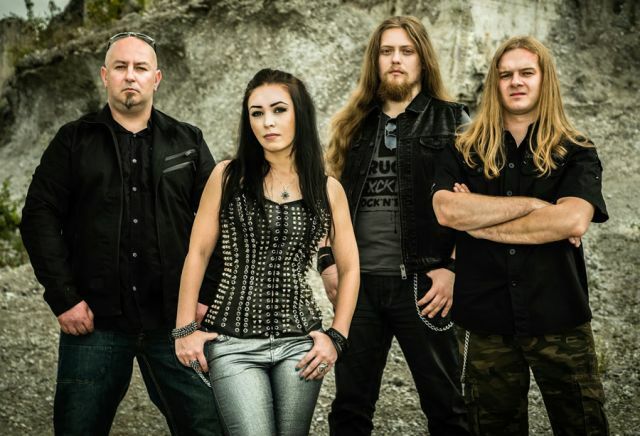 Crystal Viper is a Polish Heavy Metal band, founded in 2003 by singer and multiinstrumentalist Marta Gabriel (except singing she plays guitar, bass guitar, piano, and finished music school in grand piano class), after she finished her cooperation with several local Rock bands. 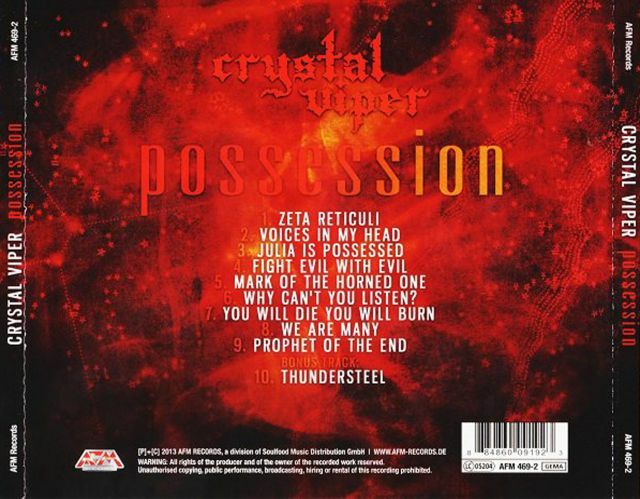 The name Crystal Viper was given by Bart Gabriel - music producer and manager, and in private life: Marta's husband - who used it for several music projects since 2001, and which refer to classic band names such as Iron Maiden, Black Sabbath or Mercyful Fate (adjective and noun). In 2003 the name Crystal Viper was officially taken over by Marta's band. Two songs released in band's early days: "Wild Child" (W.A.S.P. cover song) and "Chaos Rising" (Cirith Ungol cover song) were recorded in amateur conditions, together with friends from other bands ("Chaos Rising" was released under the name "Crystal Viper & Elixir", as it has been recorded with 2 members of the legendary British act Elixir: Phil Denton on guitar and Paul Taylor as guest vocalist). In summer of 2006, after long searching, many auditions and rehearsal sessions, the first official line up got estabilished, and Crystal Viper turned from project into regular band, with: Marta Gabriel (vocals), Andy Wave (real name: Lukasz Halczuch, guitar), Golem (real name: Tomasz Danczak, drums) and Tommy Targosz (bass guitar). Until the end of 2006 over a dozen of demo and rehearsal materials got recorded, but all of them had unofficial and private character only. 6. Why Can't You Listen?